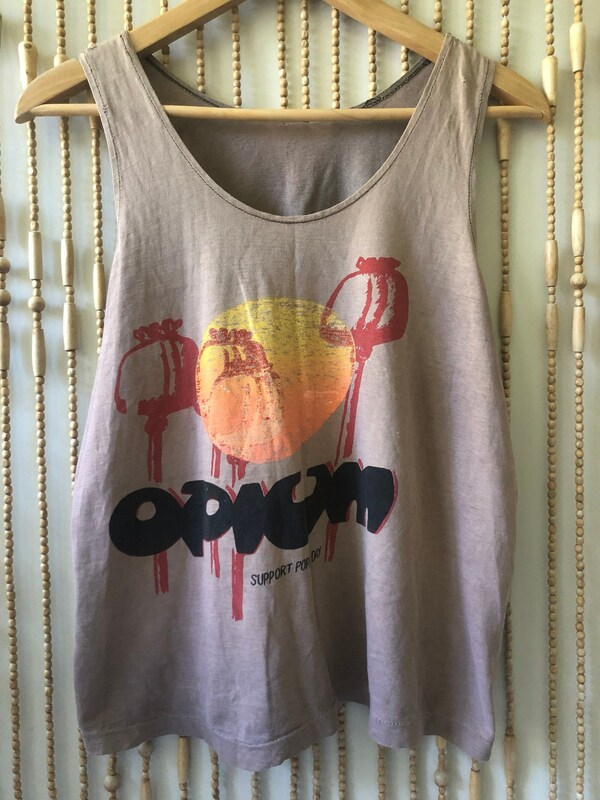 Description: 1970’s Psychedelic thrashed and worn tank with original graphics. Features pop-art style poppies along with the the slogan “Support National Poppy Day.” Natural occurring Lavender Ombré fade from sun and wear. Brand: N/A. 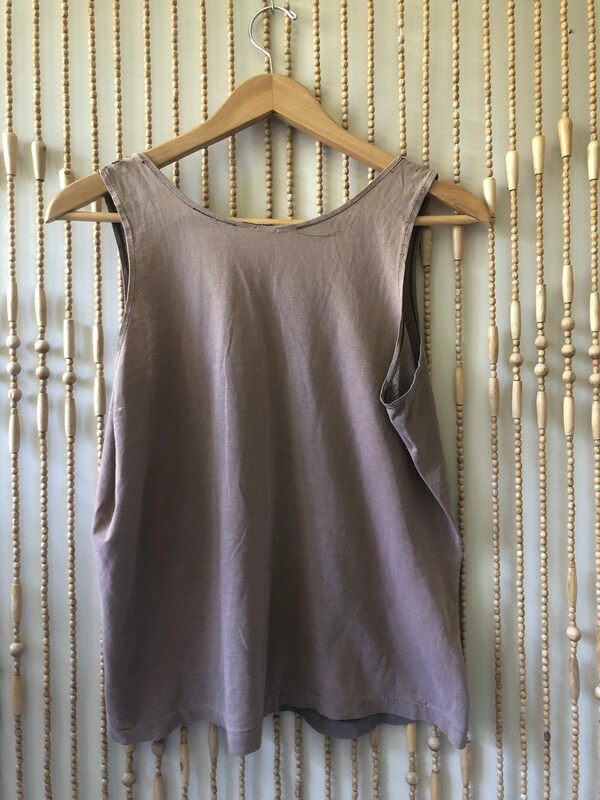 Size: N/A - best fits size range from XS-M. Model is a size XS. Fabric: Cotton. 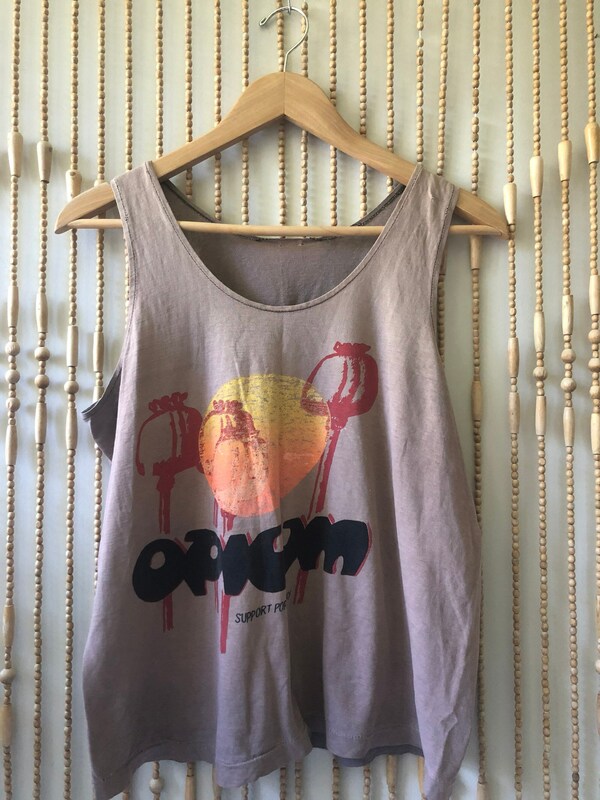 Overall Condition: Good - tank is discoloured in an ombré effect. Character holes throughout, including rips along shoulder seams. Some bleach effect is also apparent, adding to aesthetic.